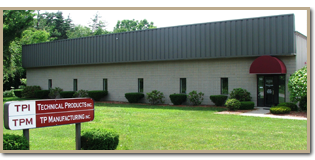 TP Manufacturing, Inc. is a manufacturer of various products and systems for commercial, industrial and government markets. TP Manufacturing maintains marketing rights to the Burlytic® Systems name. We retain a number of professionals with decades of combined engineering, assembly and sales experience with this unique and proven equipment. Our goal is to serve our customers with the utmost respect and care and we honor that commitment by supplying products of the highest quality that solve problems, cut costs and provide our customers with the competitive advantage they need to succeed in business. Our customer service personnel are on call 24 hours a day to serve your needs. We not only welcome, but we also encourage all potential and existing customers into our facility to scrutinize our employees, manufacturing methods, engineering practices and products.